Debbie Reynolds has a life long passion of dance . She has practiced Yoga for 20 years . Exploring many different forms of healing arts , including movement medicine , Sound healings, breath work and meditation. Debbie is a dance performer, Shakti dance teacher, Children’s yoga teacher, Massage therapist, Aroma therapist, Reiki and Sound healer. 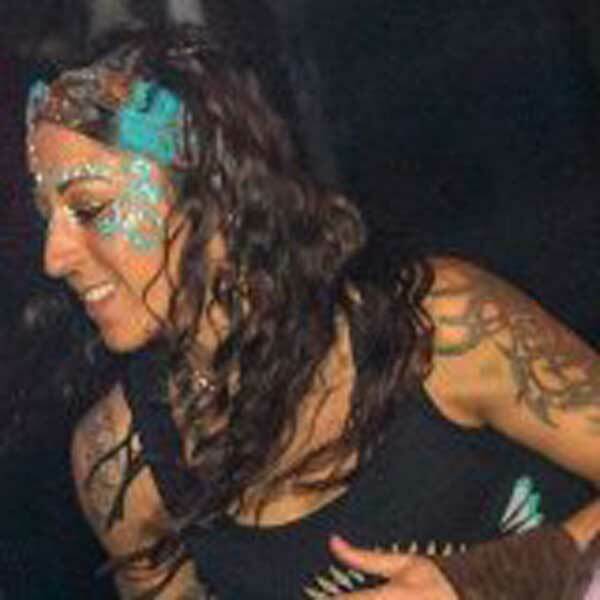 She has been facilitating Shakti dance in Thailand and Bali as well as the UK. This powerful practice of Shakti dance is formed of eight stages. It has been cultivated from the Kundalini tradition as taught by Yogi Bhajan and has the ability to open up and expand the energy body!Re Align all our layers of being. Release stored emotions and memory from the body tissues! Connect us to source and our higher selves. Come dance your dance.